Tubes of hematite, an iron-rich mineral, might be evidence of microbial life that lived around underwater vents billions of years ago. It&apos;s not clear when or where life on this planet began, but scientists are working hard to find out. Now, researchers writing in the journal Nature say they found fossils of what could be some of the earliest known creatures to grace the Earth, embedded in rocks that are at least 3.7 billion years old. "These rocks are some of the oldest — if not the oldest — sedimentary rocks on Earth today," says Matt Dodd, a biogeochemist at University College London in the U.K. who studied the ancient rocks. The rocks hold some very small and curious shapes. Some, Dodd says, look like "strings of iron." Others look like tubes or spirals. They look a lot like the microbes you&apos;d find clumping around a volcanic vents in the ocean today — like the rusty-looking gelatinous mats full of bacteria that form around vents off the coast of Hawaii. "A spongey kind of gloopy soup, if you like," says Dodd. Yum. That gloopy soup contains just the kind of shapes that Dodd and his colleagues spotted in these rocks. And, he says, the fossils contain the chemistry you&apos;d expect to find around living organisms, namely, lots of carbon and phosphorus. "It provides us with this high degree of certainty that these structures are indeed, biological microorganisms that were living and thriving around hydrothermal vents billions of years ago," he says. If Dodd is correct and the shapes are, indeed, the leftovers of living beings, then these fossils hold the oldest evidence of life on the planet. But that&apos;s a big "if." The study, like other recent studies that try to probe life&apos;s early history, has plenty of skeptics. 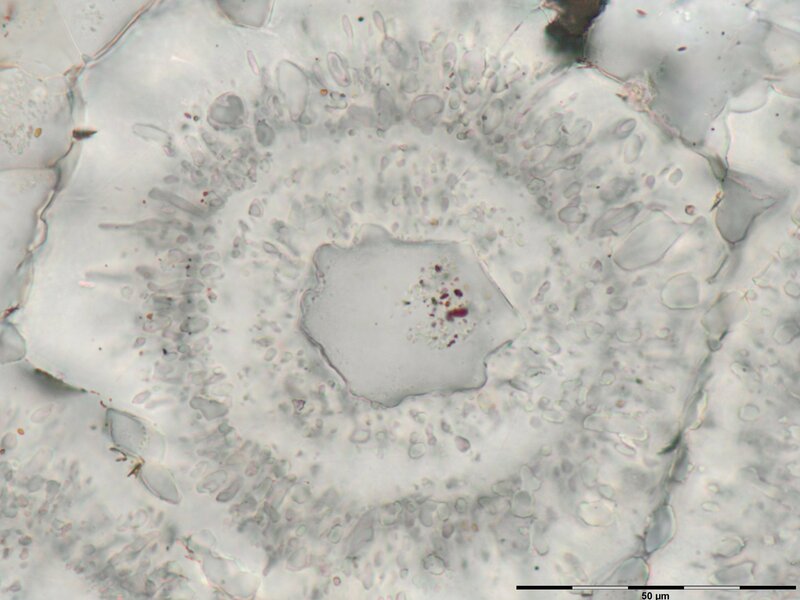 Tanja Bosak, a geobiologist at MIT, says she&apos;s not convinced these fossils are signs of life — or that they are really as old as the authors assume they are. "The big problem is the understanding of what can create those sorts of very simple shapes in rocks," says Bosak. There&apos;s a lot of activity at hydrothermal vents, she says, and it&apos;s possible that something like precipitating minerals could be responsible for creating the curious shapes in these fossils. "We are talking about very, very simple shapes here. We have blobs and knobs and something that they interpret as filaments, and it&apos;s really just an unevenly thick string. We are not talking about having a beautiful fossil bone here or something," she says. Things can get hairy trying to interpret signs of life from more than 3.4 billion years ago, largely because rocks older than that are so deformed it&apos;s hard to tell what&apos;s in them, or whether certain forms came from living organisms or from the billions of years of heating and squishing that the rocks endured. "We don&apos;t have a good enough understanding of the range of features that can form under all sorts of conditions, whether they include biology or not," she says. "Everywhere you go on Earth today you will find biology, so it&apos;s almost impossible to find negative controls." Two separate groups of scientists identified the age of the rocks using separate techniques, one group landing an age of 3.7 billion years, and the other one about 4.3 billion years. But Bosak says the life-like forms could be much younger than the rocks they were found in. "Because our planet is so geologically active, you&apos;ll have things cracking and tumbling around," she says. Cracks can form and then get filled with fluids. Any of those processes could have provided a chance for interesting shapes to form, whether biology was involved or not. 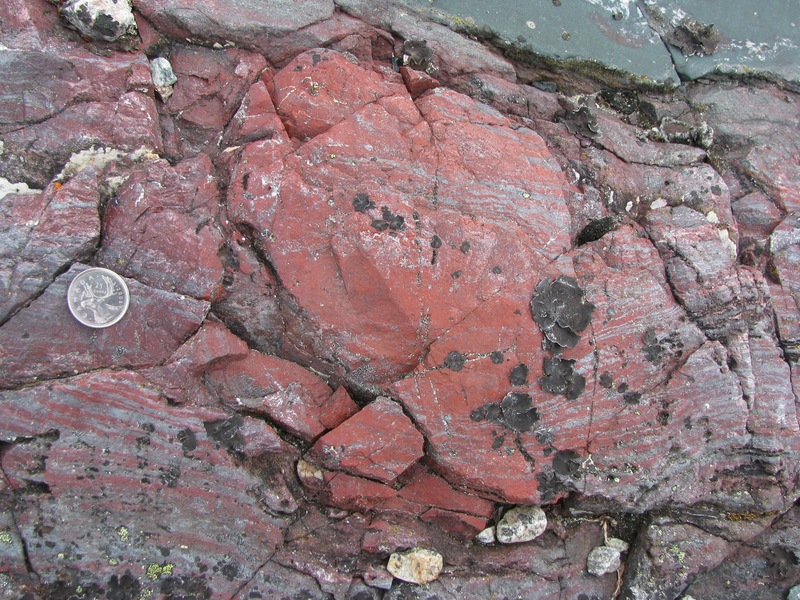 For Bosak, the earliest evidence of life on Earth is a 3.4-billion-year-old fossil found in Australia. "I think it would be incredibly exciting to find some sign of something that was living 3.8 billion years ago, at a time that was not very favorable to life. There were all sorts of meteorite impacts, possibly hot environments. It would be incredibly amazing to see where life took hold," she says. But this one just might not be it.